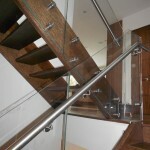 Are You Thinking About Having Stainless Steel Railings Installed? Railings are not a feature that you typically replace every couple of years; once they’ve been installed they are there to stay. At least you hope that’s will be the case! Longevity, stability and resistance to wear and tear are all attributes that are often desired by anyone that is looking to have some new railings installed, and coincidentally are all attributes that stainless steel railings possess. 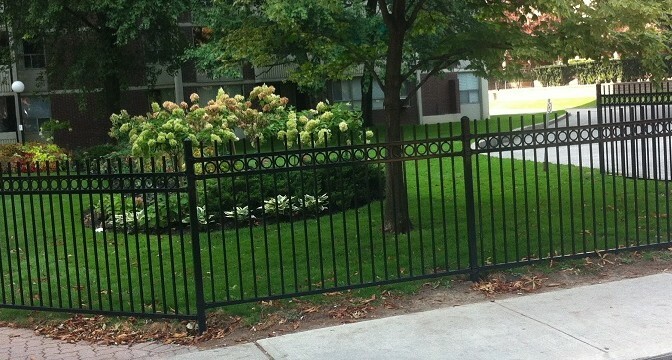 We’ve been in this industry for a long time and have installed stainless steel railings at hundreds of properties in Toronto over the years, and when asked why they opted for this particular type of railing, our clients invariably provide the same set of answers. In order to help you with your own search, we’re going to discuss those answers below and give you a few reasons to invest in stainless steel railings. Unrivalled Strength – As we mentioned a little bit earlier, one of the most important characteristics that a set of railings have to have is strength. 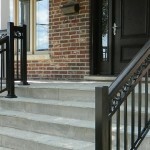 One of the main roles of railings is to provide support, whether that be when walking down a set of stairs or when you’re leaning on a set of deck railings, and they must be able to tolerate a considerable force being applied to them. Without doubt, stainless steel railings are one of the best choices in this regard and are probably the strongest railings around. You would have to apply a very significant amount of force to be able to damage them. Impressive Durability – Stainless steel railings aren’t just a “one trick pony” though; they are also capable of standing the test of time. If you lined all types of railing materials up in the same environment and were able to just leave them there indefinitely, the chances are high that the stainless steel railings would be the “last man standing.” While they might take more maintenance than aluminum railings, if given all the TLC that they require they will more than likely last for a century. Rust…What Rust? – When people think about metal furnishings, especially those that will be left outdoors, their first worry often relates to rust and corrosion. This can turn a beautiful piece of metal work into an unsightly mess and could also eventually make it unstable. The good news is that this is not something you have to worry about with stainless steel railings since they possess a chromium oxide film that covers it’s surface completely and prevents rusting. This film also allows the railings to “repair” themselves if they sustain any light scratches or abrasions. Maintenance is Relatively Easy – Due to the chromium oxide film that we just mentioned, stainless steel railings are actually relatively easy to maintain when you compare them to other options such as wood. The maintenance you have to do for stainless steel railings is really just the bog-standard clean and occasional repaint. Are You Picky? – If you often find it hard to settle on a design style for your home, you’re going to love stainless steel railings since the number of options you can choose from is virtually endless. It doesn’t matter what “theme” your home has, we guarantee that we will be able to come up with the perfect stainless steel railings to not just fit in, but actually improve your home’s appearance. Last but not least, the great thing about stainless steel railings is that this material is largely produced using recycled materials, meaning it is a “green” option and can be recycled again in the future. For further information on the products and services that we offer, or to set up a free onsite consultation, contact our team today.